Follow the Instruction and Lesson Plans we tailor to your needs and we guarantee positive results or you’ll receive a Full Refund. Lessons make wonderful gifts! Surprise the golfer in your life with a Gift Certificate to use for Lessons or Driving Range use. You’ll be a star for helping them improve their game. To be taught over the course of the season. The most comprehensive Lesson Plan we offer to maximize your golfing potential. Ever wonder what it would be like to be trained like a touring professional? The Coaching Program is designed for someone who is serious about their game and has time to work on their game. 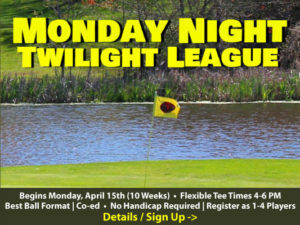 This program consists of 4 hours of instruction a month plus one 9 Hole Playing lesson a month. This program is guaranteed to take your game to the next level when you follow these proven practices. All Juniors in this Program are engaged in a system for improvement, not just a series of tips about the game of golf. The “Rising Pros” Program will help kids 11-14 years of age reach their golf potential. The “Junior Stars” program is geared toward youth ages 6-10. Both programs are tailored to work on fundamentals and current golf development protocols. Program Includes: On-course play, Chesapeake Bay Golf Club T-shirt and USGA Rules Booklet. Learn the fundamentals of the game…putting, chipping, and full golf swing while having fun and making new friends! Program Includes: Entry into Junior Club Championship, PGA Instruction from 9am-12 Noon, Lunch, and 18 Holes of Golf every afternoon! Learn the fundamentals of the game…putting, chipping, and full golf swing while having fun and making new friends!! Our Group Instruction and Clinics offer the best value and learning potential for multiple players learning together. 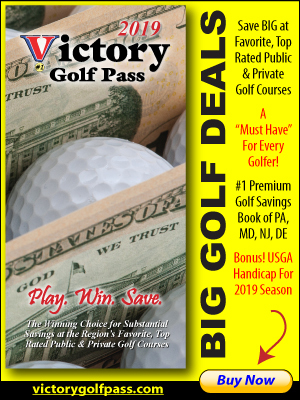 Contact Pro Shop for more information or to sign up 410-658-4343 x26. The Playing Lesson, Group Instruction, “Learn & Play 3 Holes” and FootGolf and other available Instructional Programs at Chesapeake Bay Golf Club offer excellent ways to entertain clients, reward employees, or foster Team Building. Our staff can design a seminar, clinic, or other fun, informative event to fit the wants and needs of your particular company. Contact Pro Shop to design a learning program today! 410-658-4343 x26.